Today’s consumers have an insatiable appetite for high-quality video and data services. This leaves cable operators and video service providers in a conundrum: How can they be more nimble, improve video quality on every screen and unleash faster broadband speeds? At CCBN 2019, Harmonic will highlight its software-based video streaming and cable access approach. 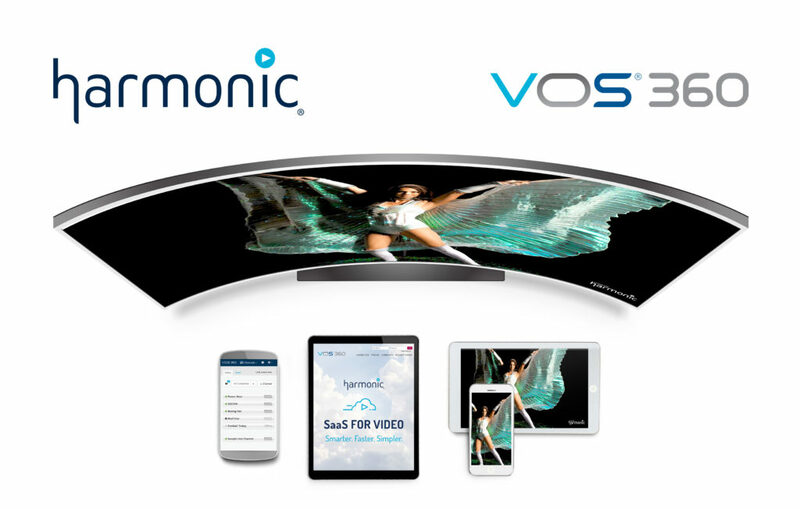 Harmonic offers flexible solutions for all deployment models — on appliances, in cloud and hybrid environments, and software-as-a-service (SaaS) — allowing operators and service providers to be more agile, operationally efficient and deliver scalable gigabit internet and superior-quality multiscreen video with ease. Harmonic will showcase next-generation capabilities for its CableOS™ virtualized cable access solution, the industry’s first software-based Cable Modem Termination System (CMTS) and end-to-end Remote PHY system, designed from the ground up to support both centralized and distributed architectures. Powering the world’s first virtualized cable access networks, Harmonic’s CableOS offering brings market-leading broadband access speeds to consumers and enterprises, while simultaneously overcoming space, power and other legacy hardware technology constraints. By unifying the entire media processing chain, from ingest to playout, transcoding, encryption, packaging and origin, Harmonic’s VOS®360 media processing as a service enables operators to launch video streaming services faster, be more agile and simplify their operations. VOS360 SaaS is hosted in the public cloud and maintained and monitored by Harmonic. By supporting a wide range of business models, VOS360 SaaS enables operators to create and deliver revenue-generating, broadcast-quality OTT streaming services. Attendees can stop by to see breathtaking images featuring NASA content from the world’s first 24/7 UHD HDR video streaming service, powered by VOS360 SaaS, on Roku devices. At CCBN 2019, Harmonic will demonstrate video delivery features for the Chinese market, including UHD support for the AVS2 standard for input decoding on the Electra® X2 encoder, support for the region’s enhanced security protocol on the ProView IRD for content security purposes, and support of the Chinese closed-captioning standard in both the Electra X2 encoder and the Spectrum™ X media server. Delivering UHD video has never been simpler thanks to Harmonic’s end-to-end UHD workflow solution, which supports the Chinese AVS1 standard for input decoding as well as a wide range of applications, including channel origination, live streaming and on-demand. At the heart of Harmonic’s UHD solution are the Spectrum™ X media server, Polaris™ Play channel-in-a-box automation, and Electra® X encoder, which deliver pristine video quality at low bitrates. This solution can be deployed on-premises or in the cloud as part of Harmonic’s VOS®360 SaaS. At CCBN 2019, Harmonic will demonstrate how operators can improve QoE and increase bandwidth efficiency by up to 50 percent through AI-based technology in the company’s award-winning EyeQ™ content-aware encoding solution.